Spike Jone’s debut feature film is a love story mix of comedy and fantasy. 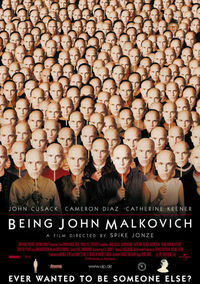 The story is about an unsuccessful puppeteer named Craig, who one day at work finds a portal into the head of actor John Malkovich. The portal soon becomes a passion for anybody who enters it’s mad and controlling world of over overtaking another human body.